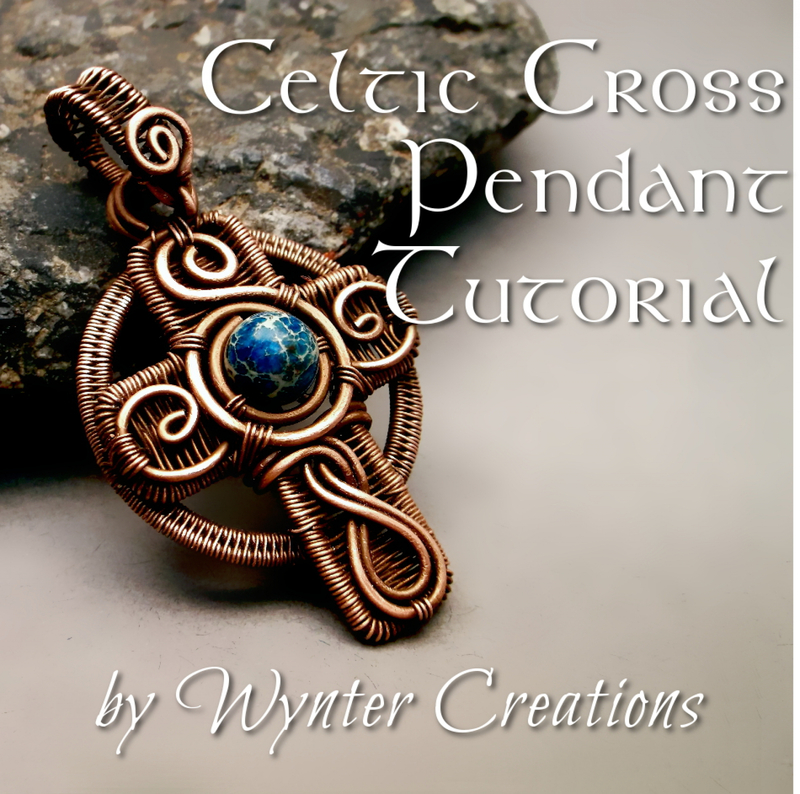 Learn to create a beautiful, unique Celtic Cross pendant with this advanced level tutorial from Wynter Creations! With over 80 full-color, high definition photos and easy-to-follow steps, this tutorial takes you through the design from beginning to end. 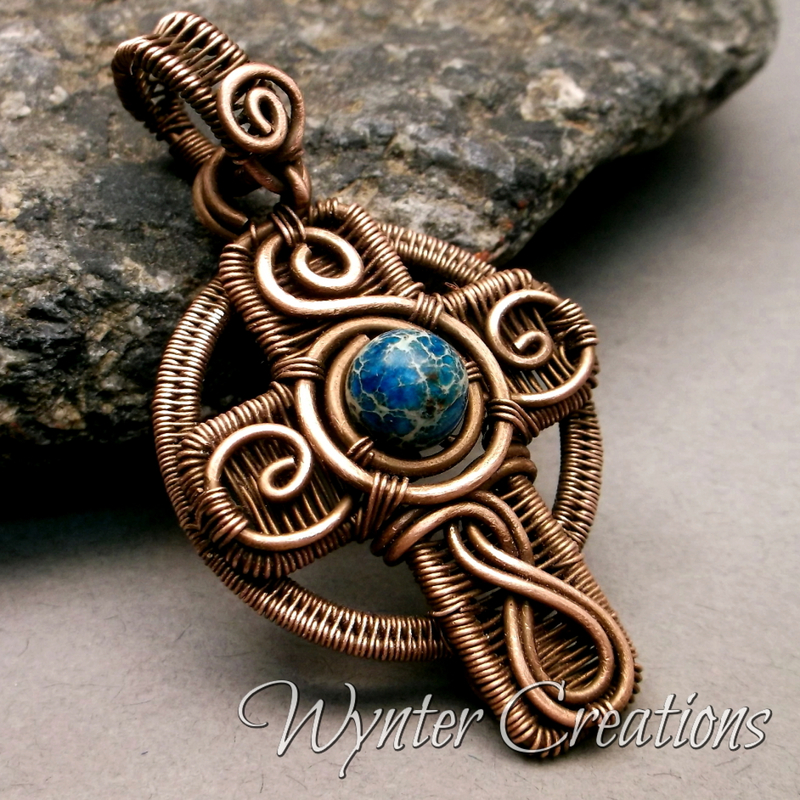 This is considered an advanced level tutorial as it utilizes a large number of different techniques, including two types of weaving, shaping frames, spirals and filigree and a unique woven wire bail. However, intermediate wire workers are encouraged to try it as well.